We have both good and bad news to report. First, the bad news — the magic is ending soon. Mickey's Mix Magic's last day is June 6, 2019. Now the frogtastically good news! 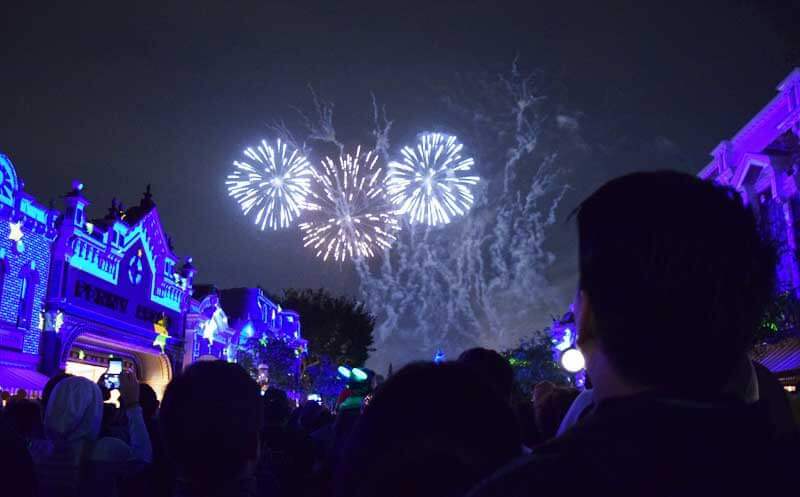 The Disneyland Forever fireworks spectacular is returning June 7, 2019! 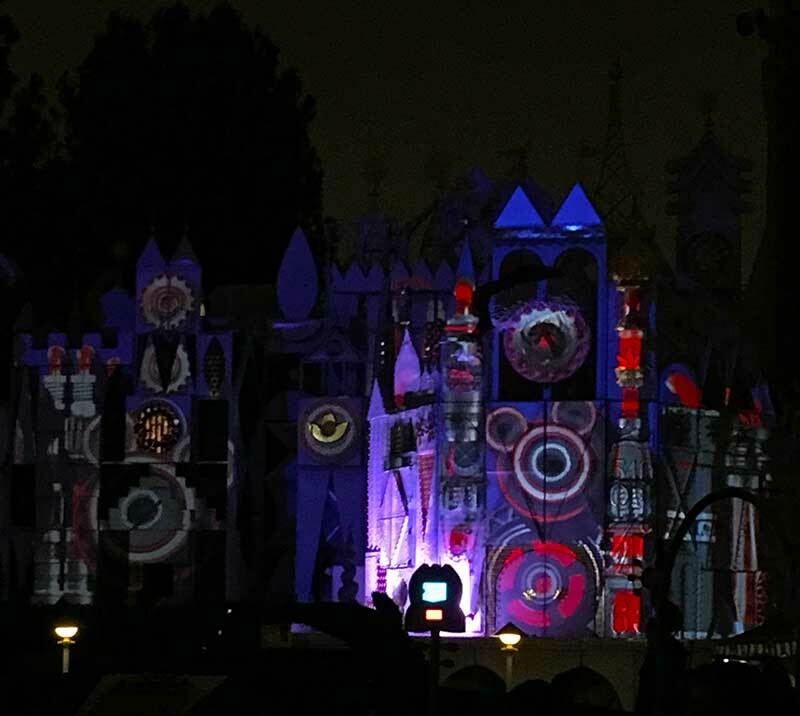 You may remember this nighttime extravaganza from Disneyland's 60th Anniversary Diamond Celebration. 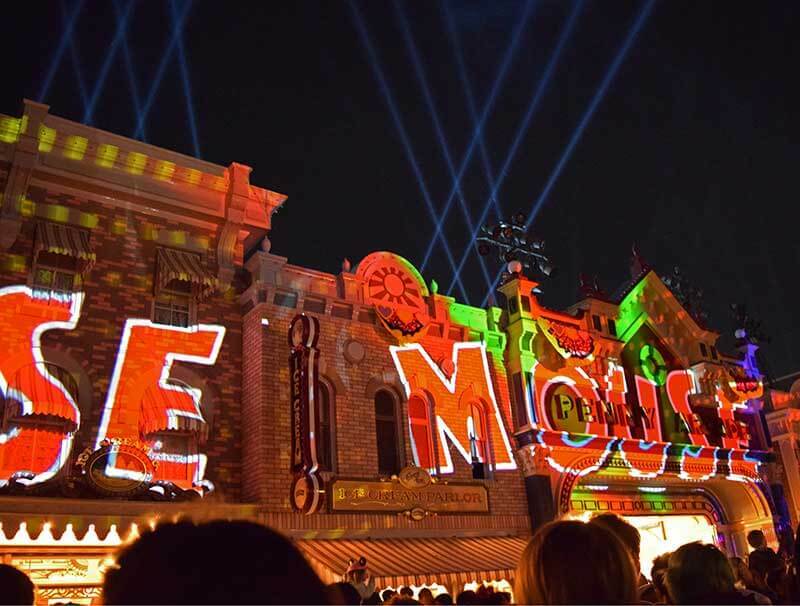 We are hopping up and down with excitement over its return with sparkling pyrotechnics, projection, special effects and more. One of the most magical parts of a visit to Disneyland is seeing the fireworks at the end of the night. The Frog Family are fireworks junkies, especially Disneyland fireworks. Over the years, we've viewed spectacular shows from different spots both inside and outside the parks. We have varying favorite locations based on our time limit, plans and location. 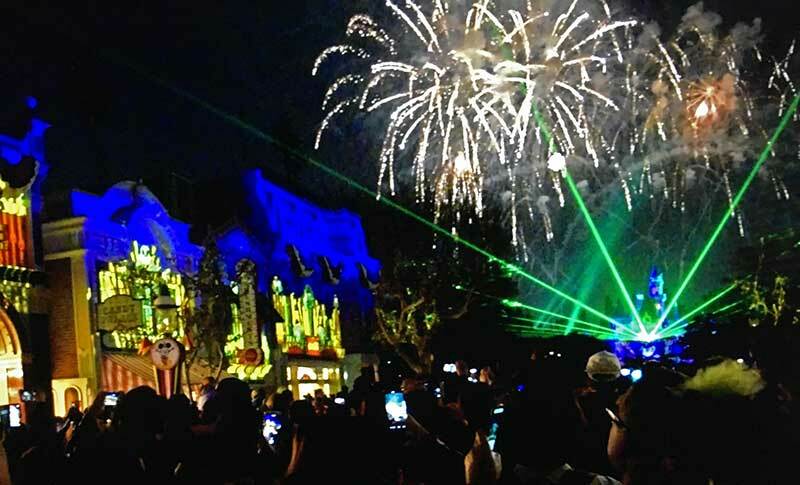 During the Get Your Ears On — A Mickey and Minnie Celebration that debuted at Disneyland Resort this January, the nightly Disneyland fireworks show has been replaced with a new nighttime extravaganza called Mickey’s Mix Magic. On select nights (mainly Fridays, Saturdays, Sundays and holidays when weather permits), the show also includes fireworks. On the Disneyland app, as well as Disneyland's online entertainment schedule, the calendar will either indicate "Mickey's Mix Magic" or "Mickey's Mix Magic with Fireworks" so that you're able to plan your viewing night and location accordingly (super hopful)! On select weeknights, there are two showings of the nighttime spectacular to choose from. The show includes music, state-of-the-art projection and other special effects that can go on every night of the week without the fireworks. This means that there is always a show — yay! — even when high winds could cancel the fireworks, or on a weeknight in the winter when there would not usually be a fireworks show. But that also means that there are slight differences in the show depending on when you view it. We continually update this guide to help you pick the best spots for the show. Choose wisely, and we're sure your Disneyland Resort visit will end in a festive finale! Projections include Mickey and Minnie and their pals and a cast of characters from “The Jungle Book,” “The Aristocats,” “Aladdin,” the Haunted Mansion, “Coco,” “Frozen” and more Disney favorites. There’s a lot to know about finding the best places to view Mickey’s Mix Magic based on the changing elements, so hop along as we discuss the viewing locations. Inside Disneyland Park, the fireworks are extraordinary. Any fireworks show creates a nostalgic, emotional journey through light and sound. 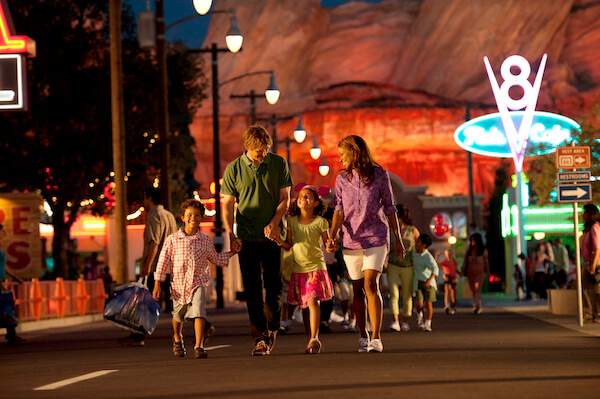 Enhancements such as narration, sound and music make it worth the effort to see it in the park. These elements blend with fireworks and special effects (lighting, fire, lasers and projection) to provide a magical finale to your visit. During Get Your Ears On, Mickey’s Mix Magic gives you that magical ending to your night with and without fireworks. It will be shown in varying locations throughout its run as it skirts the refurbishments. That means that the show locations are always changing as park elements change, and the show can be slightly different based on whether you are seeing the show with fireworks or without. There is one showtime per night, but the showtimes do vary, so you need to check the entertainment schedule. 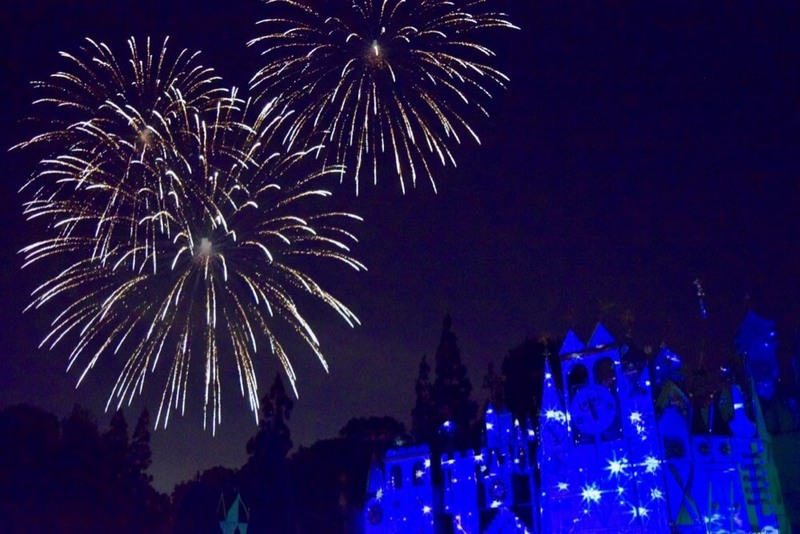 Weekend and holiday shows with fireworks are at 9:30 p.m., but weeknight showtimes can vary. It might be at 7:30 p.m. one night and 7:50 p.m. the next night, or even at 8:30 p.m. or 9:30 p.m., based on park hours. The good news is that the early show nights are better for tadpoles with early bedtimes who can’t usually stay awake for a 9:30 p.m. fireworks show. If you aren’t sure if there will be fireworks, ask a cast member. There are two consistent viewing areas: Main Street, U.S.A. and “it’s a small world.” Once the castle is done being refurbished later in spring 2019, the hub in front of the castle will be a viewing area with projection on it. And once Fantasmic! finishes its refurbishment in spring 2019, the Rivers of America will become a viewing area with projections on large water screens. Watching Mickey's Mix Magic from Main Street, U.S.A.
Main Street, U.S.A. is going to give you the best viewing of the show on nights with fireworks. Stand in the middle of Main Street, U.S.A. (from Central Plaza to the Train Station, between the buildings) for the show. You get the iconic castle view in the distance, are treated to a laser light show that comes out of the castle on fireworks nights and get to experience snowfall every night. This is also the best location for making a quick exit after the show. Let’s talk strategy. You’ll see people sitting on curbs before the show, but the best view is from the middle of the street. Hop in place about an hour before the show on fireworks nights and maybe 30 minutes before the show on other nights. If the street still looks empty, don’t disappear into a store for long, or you may come out a minute later and realize that everyone suddenly appeared in the street. The cast members will announce to the curb sitters that the best view is in the middle, and everyone moves in at once. Standing in the area across from Gibson Girl should put you in a great spot to view the main projection, as well as fireworks and castle effects. Plus, it snows there! Check out our video of Mickey's Mix Magic, as seen from Main Street! Usually the best fireworks view with the most effects and Disney magic is right in front of Sleeping Beauty Castle. They are still projecting the images on the castle tarps during its refurbishment. We prefer the Main Street U.S.A. viewing with projections on the buildings, snowfall and the castle ahead in the distance. 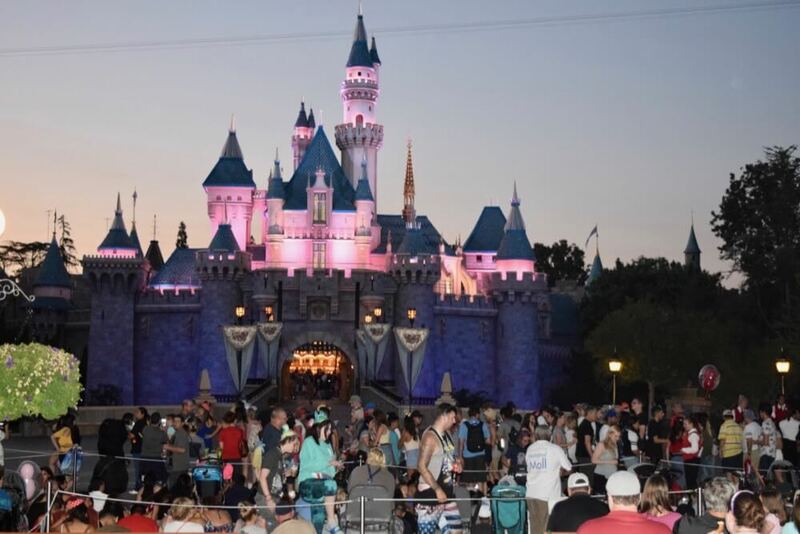 Once the castle refurbishment is done at the end of May, keep in mind that if you camp out for the front-row view of the castle, there will be people walking in front of you because that becomes a walkway. It can be very distracting and take away from your experience. Consider placing the tadpoles on shoulders or hold them up so they can see. Just be considerate of blocking those little ones behind you. It's not perfect, but sometimes the best places to view Disneyland fireworks are those where you can find room to see them. Watching Mickey’s Mix Magic near "it's a small world"
One of the best places to view Mickeys Mix Magic is near "it's a small world." The projection is clearer on “it’s a small world” than at Main Street, U.S.A. (those shop windows, buntings and trees distort the view). This location is especially good for nights without the fireworks because the fireworks are off to the left and not central to the show. 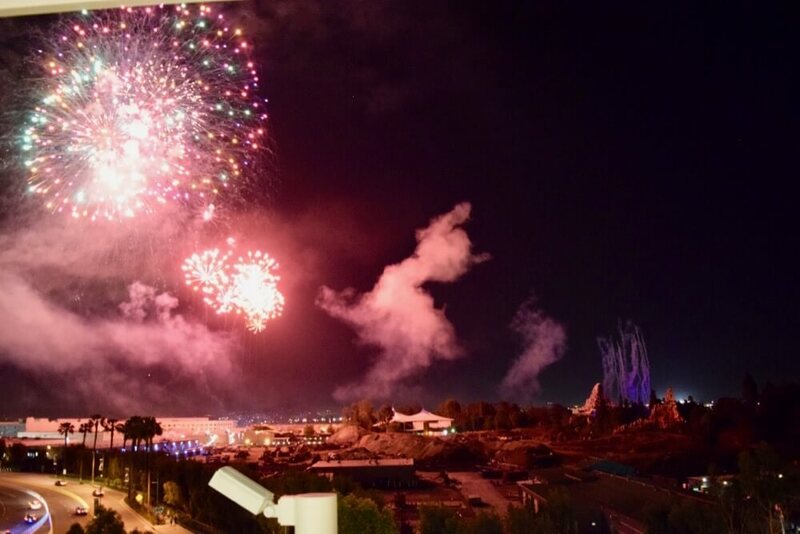 The fireworks get shot off behind Toontown. (Mickey never seems to complain about that, does he?) While the show is off to the left of "it's a small world," you can see and hear the fireworks well. The viewing area can vary for this show. On nights with fireworks, they may close the “it’s a small world” ride and move the viewing area back, closer to the raised areas across from "it’s a small world.” They will put a rope up along the edge of the brick area. BONUS: You'll have a lot of choices in elevations with steps and raised areas that can get you above the crowd. For past fireworks shows, this area tended to be way less crowded. For this show, with all of the refurbishments in the parks, we saw many people choosing this location. Losing the Hub and Rivers of America means more people squeezing in here. We did not experience lasers or snowfall in this location, but there are also no lasers at Main Street on nights without fireworks. When should you hop in place? We saw cast members putting the ropes up 60- to 75 minutes before showtime on opening weekend with fireworks that night, and the area was filling in 60 minutes before showtime. That window may be a little closer to showtime on a weeknight. On nights without fireworks, the viewing area might get a little closer to the attraction and accommodate more people. We suggest bringing a blanket and sending a runner for turkey legs and chimichangas at Edelweiss snacks (they have Mobile Order) to snack on while you wait. Many people remained sitting on steps, benches and the ground right in and near the raised areas, which might good for tired families. Here’s how to get the best view of Mickey’s Mix Magic at "it’s a small world.” You want a clean, clear view of the front panel under the clock face, so make sure that pesky attraction sign is out of your way. The sign has a hinge on the left. They will open the sign and keep it that way through the show, so position yourself so that you are not behind it and that it will not block your view of the show or the fireworks. Rivers of America is one of our favorite in-park locations for viewing the fireworks because you can usually time it before or after a showing of Fantasmic! If you are watching the 9:00 p.m. Fantasmic!, just stay in place after the show ends and watch the 9:30 fireworks show from there. New Orleans Square offers a less-obstructed fireworks view than closer to Frontierland. After fireworks, many people who watch the first Fantasmic! show exit. This massive movement allows folks who want to get a good jump on a standby spot for the 10:30 p.m. Fantasmic! time to hop into place. New Orleans Square offers a less-obstructed fireworks view than closer to Frontierland. After fireworks, many people who watch the first Fantasmic! show exit. This massive movement allows folks who want to get a good jump on a standby spot for the 10:30 p.m. Fantasmic! time to hop into place. You have about three minutes between the end of Fantasmic! and the beginning of the fireworks — that’s two shows from one location! The less traveling you do in the park around fireworks time, the easier it is. Stay put, and you will not be disappointed. You'll hear the music and narration, and the projections will be shown on three water screens. We have watched from the tiers below the entrance to French Market, and the fireworks were perfectly centered above the Fantasmic! stage between two water screens. What if the fireworks are canceled? An advantage to watching Mickey’s Mix Magic is that there will still be a show even if the fireworks get canceled. Canceled? What? Does that really happen? If there are high winds at altitude, the fireworks may be canceled. In fact, on opening weekend, we were watching at “it’s a small world.” The show started normally with fireworks, but then, partway through, dangerous winds picked up and the fireworks stopped while the rest of the show went on without missing a beat. 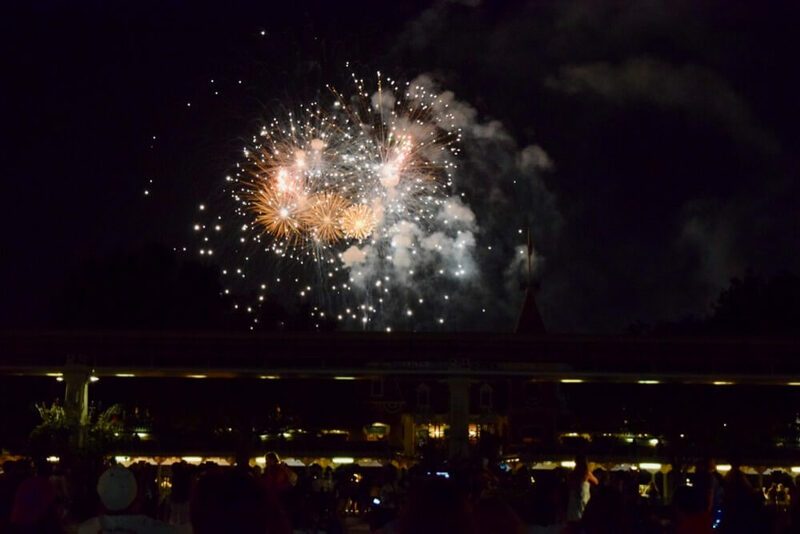 We had seen the show at Main Street the night before, so we knew there should have been more fireworks, but most guests around us had no idea that anything was missing. It used to be a big letdown when the fireworks got canceled before or during the show, especially if you had staked out the perfect spot. But this show is designed to go on without fireworks and only gets enhanced by fireworks, so the show still goes on as planned. Mickey’s Mix Magic music and projection takes place only inside Disneyland Park. On the nights with fireworks, you will be able to catch some of the fireworks from other locations. Even though we prefer watching the fireworks from inside the park, there are several great viewing locations outside of the park that allow you to see the larger and higher explosions. It's not ideal, but sometimes your Disneyland day doesn't allow for proper fireworks time. Your tadpoles may be too tired, you don't have a park ticket/valid pass, or you might just need a more relaxing, crowd-free location. 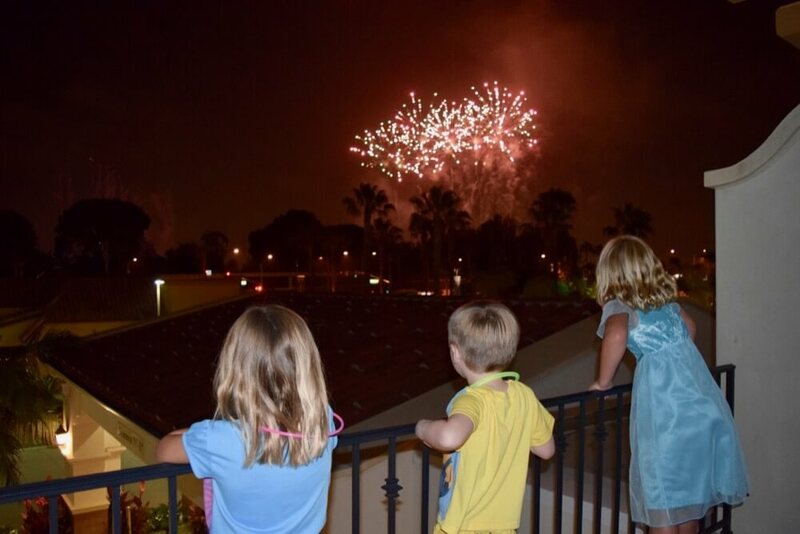 You can view the fireworks from the third-floor pool deck at Disney's Paradise Pier Hotel, complete with music and narration. You do not need a room key to get in. When you exit the doors toward the pool area, make an immediate right. You will pass a bar (drinks or snacks before the show, anyone?) and see people lining up at the railing looking toward Downtown Disney. You can arrive at this spot shortly before fireworks time. If you are not staying near the resort, you can park in Downtown Disney (check prices and validation requirements). This is a free, non-stressful way to view fireworks and get to hear the music and dialogue from the show. We like getting the music played for free. Free stuff is our jam! If you're into freebies, here's a blog post with lots of tips on finding free (or almost free) things to do at Disneyland. We also like to watch the show from the roof of the Mickey and Friends parking structure. Sometimes, we leave the park 30 to 45 minutes before the show to watch from the roof for a quick getaway after a full day in the park. Other times, we simply walk there from Downtown Disney and take an escalator ride up. It never disappoints. Just be aware that the fireworks usually set off many car alarms in the lot, so that can detract from the experience. (There are large structures for the new Star Wars: Galaxy's Edge area, so that now blocks the views of the in-park show, but you can still experience the large bursts. You can no longer see the castle from the structure.) We recently discovered that we could see the Disneyland fireworks from the much further Toy Story parking lot, as well. You can walk to the Esplanade between the park entrances to get a view of the fireworks. 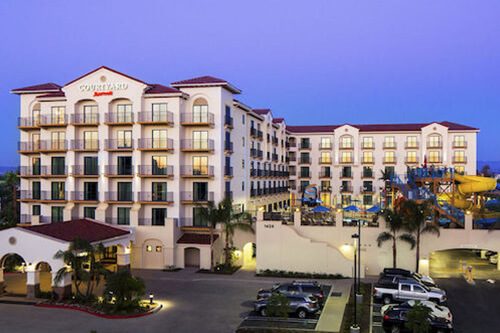 It's free and within walking distance (and shuttle distance) from many hotels. You can't see the castle from there, but you can see the higher fireworks. Sit on the Disney California Adventure side of the Esplanade. At the other end of Downtown Disney, you can see the fireworks from the railing across from the LEGO Store, between the Monorail and Tortilla Joe's (although there are some palm trees that may enhance or obstruct your view; it’s all a matter of how you look at it). You can find a great and less-obstructed Downtown Disney fireworks view between Splitsville and Tortilla Jo’s. Also, just outside of the security checkpoint at the Downtown Disney parking lot, people will gather to watch the show. When facing the Downtown Disney entrance, stay to the far right. There is a large open space that used to be part of the valet area. You can watch from there without even having to go through security check. Park at Downtown Disney for easy access. If you want to see fireworks from outside the park, there's a new spot to consider. 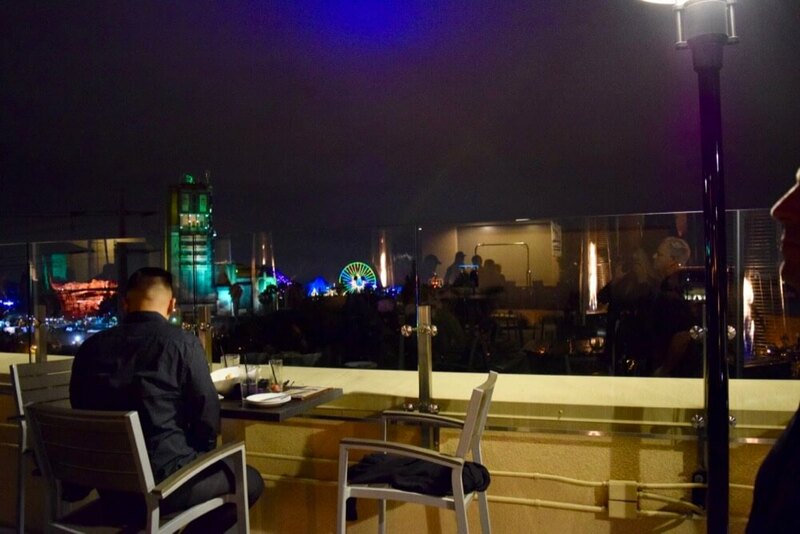 The Fifth —Anaheim's only rooftop bar and restaurant — is a neat and stylish setting. The Fifth is located on the fifth floor roof of the Grand Legacy at the Park. We checked it out recently (because you know, "research") and The Fifth has some pluses and minuses. Pluses include a kid-friendly environment (up until 10 p.m. when it becomes 21 and over) with a relaxed vibe and great views of the parks. You can also catch a distant view of the top of World of Color when it returns from refurbishment. 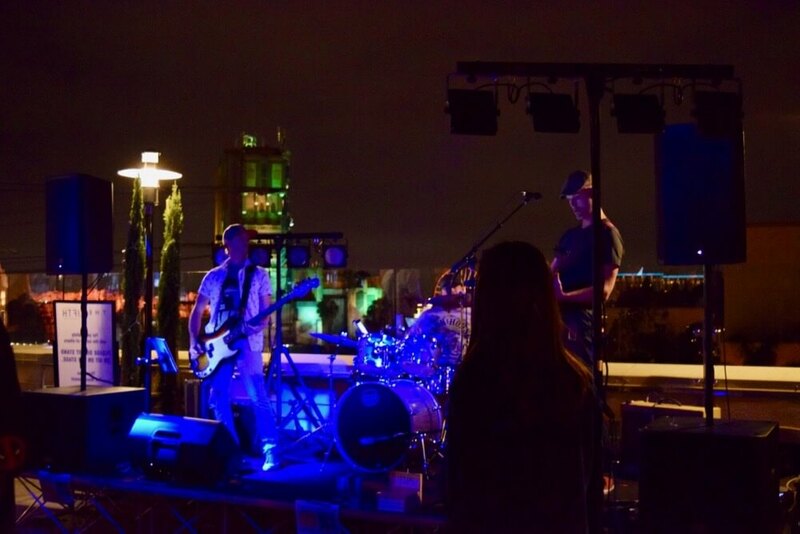 The Fifth offers different themed entertainment each night. We enjoyed dancing to the live band that played on a Thursday. Leap danced like it was our honeymoon all over again. The negatives include limited parking. Expect to get diverted to the nearby Anaheim Garden Walk parking structure for a 10- to 15-minute walk back to The Fifth. Plan on paying $6 to $7 for parking. It's best to walk from your hotel or grab a Lyft or Uber. Be sure to tell your waiter you used Uber to get a discount on your bill. You can make reservations only up until 7:30 p.m., which can add up to a hefty bill of eating and cocktails while waiting for that 9:30 p.m. fireworks show. They are closed Mondays and have a cover charge Fridays and Saturdays. Don't froget to bring a sweatshirt! The biggest issue of all is that if the fireworks get canceled (as they quite often do for wind and weather), you are out all that money and time. Obviously, the disappointment is the same whether you waited three hours in the park for that perfect view or were planning to view outside the park. Can you justify dropping around $100 on food and drink at a location because you wanted to watch the fireworks, and then they do not happen? If you plan to eat out and think fireworks would simply be a bonus, you may justify the gamble. Guess what? The night we visited The Fifth, there was no fireworks show because it was too windy! The Fifth did stop the band and were ready to cue the fireworks music, but the fireworks never came. We took the news in stride (because — drinks), and we used the experience as a warning to our readers. We recommend The Fifth, as long as your expectation of the fireworks is just a bonus. Don't go there only for the fireworks. There are many other places to catch a view of the Disneyland fireworks around Anaheim. We have even caught the show from Interstate 5 when driving by at fireworks time. (We did not stop on the freeway. The 5 is bad enough.) We have heard of street locations and even gas stations with views, but with little tadpoles to keep safe, we recommend watching from a location away from traffic. Why does the show get canceled? If there are winds at altitude, they will not shoot fireworks off. It may seem pretty calm where you are standing, but they send up a weather balloon to check on things up above, and if the winds are too strong or blowing in the wrong direction, they will cancel the show. Usually, Disneyland does not officially cancel the show until right at the scheduled show time. Sometimes they make announcements that the show will likely be canceled, but only the people in the park get that memo. Sometimes they will delay the show's start for up to 15 minutes. We have even been there when they started the show, but then shut it down right in the middle. We watch the way the wind is blowing the flag on the pole at the Main Street, U.S.A. train station. If it is blowing toward Frontierland, it seems that fireworks might not happen. If it is blowing gently toward Tomorrowland, we may be in the clear. Ideally, we like to see that it is not blowing at all. A noticeable breeze is bad news for the show. 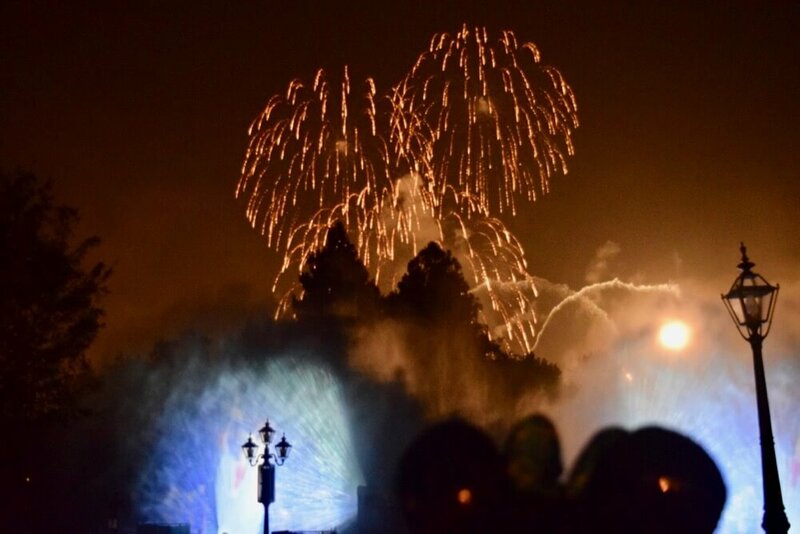 Before you go through the task of narrowing down our list of the best places to view Disneyland fireworks, we recommend not investing a lot of time, energy and money in doing it. Yes, if you are in the park, it can be worth it to take the time to get the right location. Do not invest too much in an outside location. Why? Because the scheduled fireworks may not go off as planned, and the show is simply much better in the park. If you choose to watch from outside, use a free locations with easy access. If you are in the park when the show gets canceled, make the best of it. 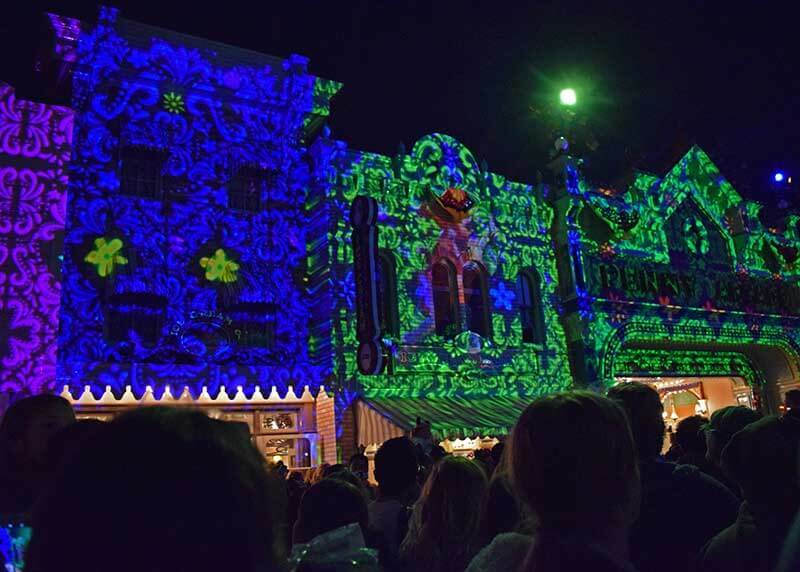 Watch the projections up close — chances are, if you have already seen the show before, you will realize all of the projection details you might have missed while you were too busy gazing at fireworks. You might catch the next parade (if there is one) or Fantasmic! show, which never disappoints, or knock some rides off your list. If you're in the park, it makes sense to stay in the park until closing to continue the fun. Enjoy it, since much of the crowd leaves at this point and wait times dive. Have a backup plan in place (such as getting ice cream or rushing to hit the Fantasyland rides such as Peter Pan with shorter lines once they reopen) if the show does not go on. Better luck next time! Where are you favorite places to view the Disneyland fireworks and Mickey's Mix Magic? Do you have any secret spots that you're willing to share? Let us know in the comments below! So much great information! Not everyone gets 5 day passes and it is so valuable to be able to plan out your day(s) to get the best bang for your buck! I learn something new every time, but to find a blog like yours that helps me plan before a trip helps this trip be so much better (not full of “next time we’ll try...”) We discovered dinner/lunch with show packages in the last several years and have been loving combining those! Scheduling our WOC dinner package at la travitorra during the Pixar play parade so we could watch eat and get our fast pass seats all at once was fabulous as was having dinner there right before the light parade when all the floats go by right at eye level (and - drinks!) I will forever “celebrate” my birthday at least one day of our visit because the “Happy Birthday” experience is so special. I had tears in my eyes as cast members IN the parade wished me happy when I turned 40 the first time ;) I’m keeping that button forever...i wish it said 29 lol. Important to note that security made me take my birthday button off and I’ve seen people covered in buttons so if you are wearing your buttons multiple days put them in/on your bag till you’re in the park. Thank you so very much for this informative post! We were going to try the Fantasmic terrace upgrade this year but it was booked so are going to the WOC dessert party instead. We try and do one big ticket thing and now that we can kind of combine them it helps so much. Thanks also for the helpful list of free finds- we’ll be checking on some new things this year too to add to our half way inexpensive pressed penny hunt. ???? We are so hoppy to hear that you've found the site useful! Such high praise. Thanks for sharing your advice with the Frog Pond. Have a frogtastic trip this year (and don't froget to report back)! I like staying at Holiday Inn Express on Walnut when in the area. Fireworks are very good from the parking lot. In fact, I have to turn off or lower the sensitivity of my car alarm. Are there fireworks during the week? Or is it just Friday, Saturday and Sunday. At this time, Mickey's Mix Magic with fireworks is only on Friday, Saturday and Sunday. The Entertainment Schedule will list whether the show does or does not include fireworks, as well. Thank you SO much for the information about viewing Together Forever and the Paint The Night Parade! It was incredibly helpful and we had great views of both!! Hi there, do you know if the fireworks will be held on Fridays, Saturdays and Sundays all through September? Right now, Disneyland's schedule is displaying nightly showtimes through August 17 (as the schedule only goes six weeks out.) We imagine this fireworks show will continue showing at least through the end of Pixar Fest on Sept. 3, but we'll keep an eye out to see if it gets extended! Several years ago we used to camp out in front of the castle when they had NO walkway! So there was literally only a rope between us and the castle. It was amazing. The last two years, things have changed, and it's nice to know (before waiting 3 hours) that they are still having people walk in front of the castle. Not sure why they did that. Seems unfair... anyways, I think we will watch it from Rivers of America one night, and try Main Street the next. Do you know if they project the 4th of July firework animations on Rivers of America? That sounds like a good plan because you can view Fanstasmic! before or after the fireworks at Rivers of America, and Main Street USA and the area leading up to the circle all have great views. We are not sure, but this year’s entertainment schedule shows Together Forever on the 4th of July (instead of the regular 4th of July fireworks), and that show does have projection at Rivers of America! Hi there. 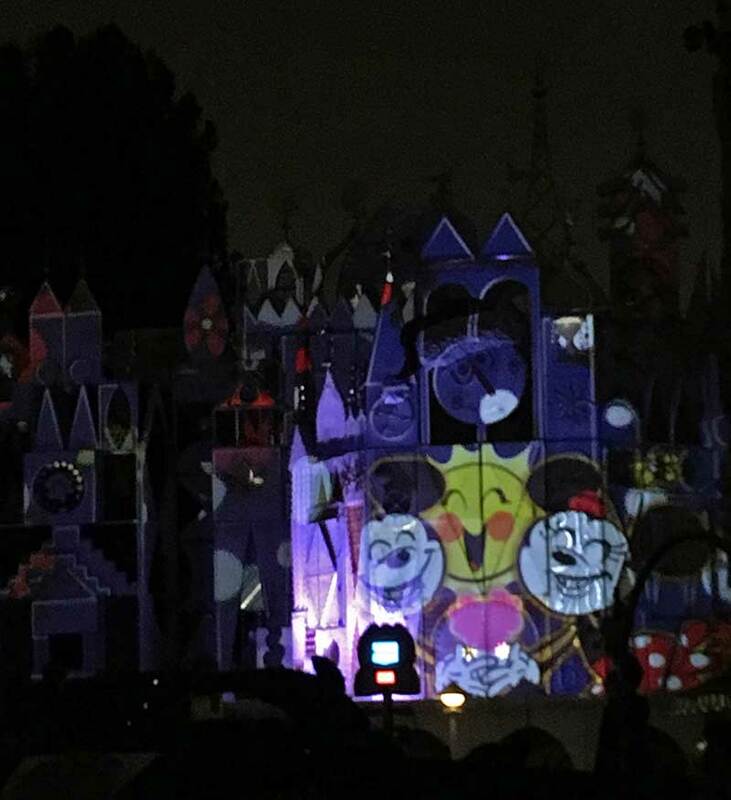 On an evening when Mickey's Halloween Party is on.....is it possible to watch the 8.15pm World of Colour at DCA and then make it over to Disneyland Park to watch the Halloween Screams Fireworks for 9.30pm?? With crowd numbers would you be able to make it? Or are we better to stay in Disneyland Park and watch the first Headless Horseman parade and then fireworks? Thanks so much. We think it makes sense to say inside Disneyland and see all of the special festivities that are exclusive to the party. 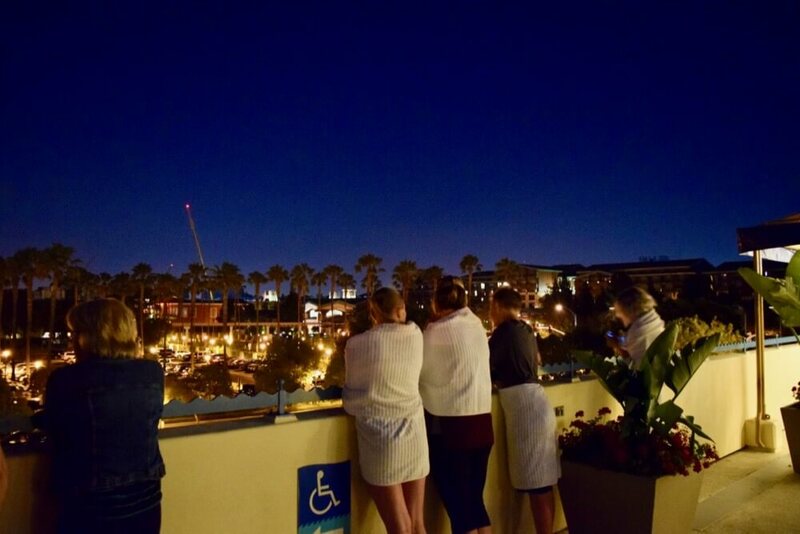 Can you recommend hotels in the area where you can get a fireworks view? Any of the hotels along Harbor Blvd. offer views of the Disneyland fireworks. Hi, I am just wondering, it seems as if the Disneyland closes at 6pm but the fireworks take place at 9:30PM. How does this work? Is it that rides shut down at 6pm but the park remains open so you can view the fireworks? You are probably looking at a Halloween Party date. 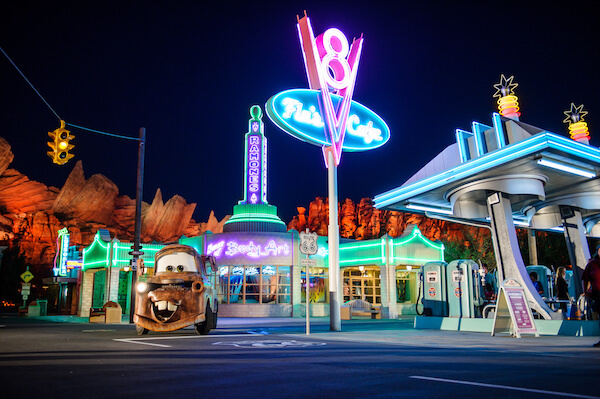 The park closes to the public at 6 p.m., but party guests can stay in the park, and the park remains open to them with parades and fireworks. The party requires a separate ticket. 1. - Of the first parade while sitting on the curb across the street from the Penny Arcade building (in front of the "Chester Drawers" storefront). 2. - Of the fireworks and the projections on the buildings from the middle of the street, in front of where I'd watched the parade. 3. - Of the second parade from the raised area across from "It's a Small World." Not only did I take stills of the parade, but I leaned my iPhone (with an accessory Olloclip wide angle lens) against the railing above the wall that I was standing behind and recorded a video of the entire parade. Thank you for the great advice!!! I was able to take some amazing photos. Thank you for the viewing tips! I went last Tuesday after seeing the Wheel of Color and couldn't get near Main Street. Was squished in by the train depot. I'm going on 11/2 and will definitely take your advice! Cheers! Thanks for a great review and tips of all the spots for fireworks display. I had shivers up my spine and tears just watching your video! Glad you liked it. We love it that you were so moved! before I was an annual pass holder, my family made it a habit to go for some Starbucks and snacks and picnicned by the Arco on Ball Rd. which is the back of the castle outside of Disneyland... Or cross the street to the castle look alike Hotel and sit by the little bus stop benches... Disneyland staff won't allow you to cross the street closer due to the debri of the fireworks falling from the sky, and I do want to add, the fireworks sound much louder from there. Hi, thank you for the info above. I will be in LA for less than 2 days, and will be arriving in the middle of the afternoon, so I won't really have to go for the park activities. Do you know if there is a special fee just to go watch the fireworks? You would still need regular admission to see the fireworks inside the park.